Cursed are those who trust in mere humans, who depend on human strength and turn their hearts from the LORD. They will be like a desert shrub that doesn’t know when relief comes. They will live in the parched places of the wilderness, in a barren land where no one survives. Happy are those who trust in the LORD, who rely on the LORD. They will be like trees planted by the streams, whose roots reach down to the water. They won’t fear drought when it comes;their leaves will remain green. I am beginning to see a theme in my life… Identity. Often looking to experiences, people, personal convictions, accomplishments to make up who I am. In doing this I have picked myself up by the roots from the living water and moved myself to the desert where there are no springs of life. My identity is lost. It’s confusing. I search, but can’t find any “one” thing to quench my thirst. I can claim my IDENTITY in Christ, but if I am not living DAILY with him, the source that feeds and nourishes my soul… that lifts me back up to the streams of living water… that brings me out of the desert… that fulfills… I can feel like my identity in Christ is gone. One cannot search and find an identity on their own, not one that will last anyway. Our identity flows from time spent with the one who CREATED. Just like an artist and his masterpiece. We can fumble around trying to understand the context, meaning and emotion behind each of the great works of art, but unless the Artist themselves gives the piece of work it’s “story”, we are all just guessing at his or her intent. The identity of the art flows from the one who created. Our creator was so inspired when he made us… when he made YOU. Inspired to create a work of Beauty-Goodness-ART… a masterpiece- In HIS IMAGE. Help us to remember it is your image we are called to reflect. When we are floundering and unsure of our identity- help us realize we only need to spend time in your presence to know who We are- Who created Us and Why. 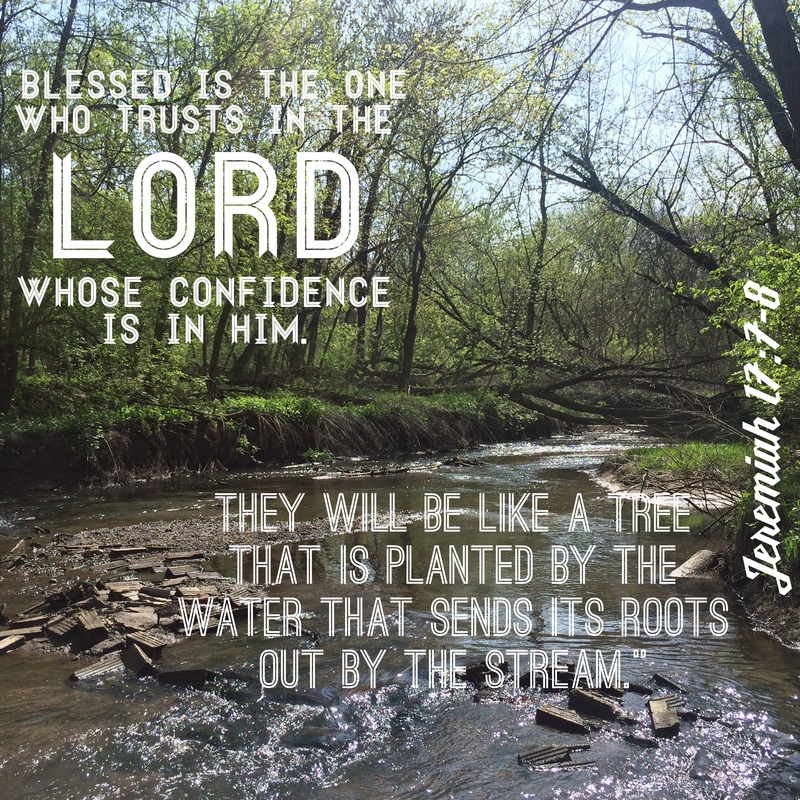 Our Creator, as we sit before you- let your living water strengthen our roots and bring us back to the stream- firmly planted as we find ourselves in you.